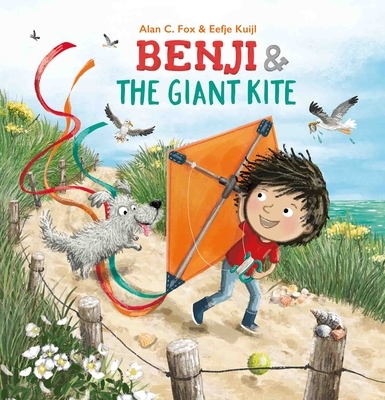 An inspiring read-aloud picture book about ambition, perseverance, and kite-flying. For aspiring aviators ages 4 and up. Alan C. Fox is an entrepreneur, philanthropist, relationships expert, and The New York Times bestselling author of three books for adults that provide advice for living a happier, more successful live. His much-loved children's book, Benji and the 24 Pound Banana Squash, the first in the Benji series, was recently published by Clavis Publishing. Alan, who enjoys reading, writing, poetry, and the beach, lives in Los Angeles, California with his wife. He has six children and two stepchildren, and is the proud grandfather of eight. Eefje Kuijl (Breda, the Netherlands, 1978) studied Illustration at the Hogeschool voor de Kunsten Utrecht (HKU University of the Arts). Since she graduated she works with pleasure for all kinds of commissioners: at the beginning mostly educational editing companies, lately more and more companies working on other fields, like editors of illustrated children books. Eefje specializes in illustrations for children. She lives in Breda with her husband, son Guus, daughter Fien and dog Jip.